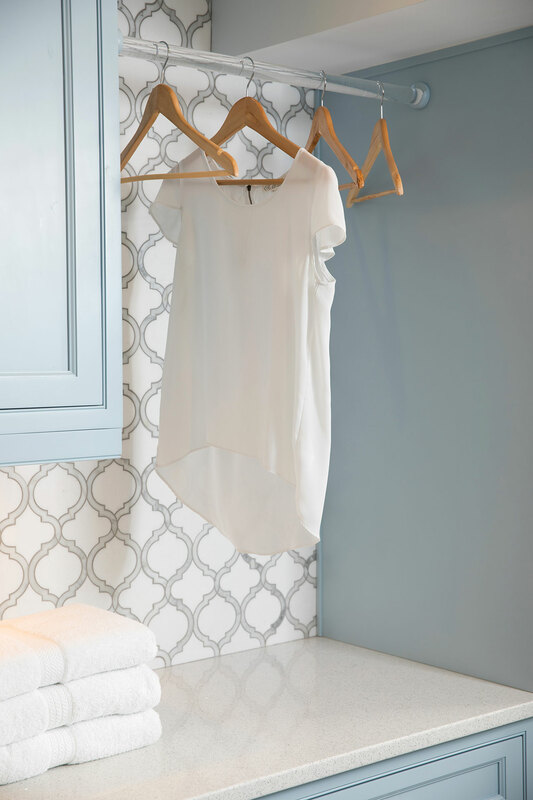 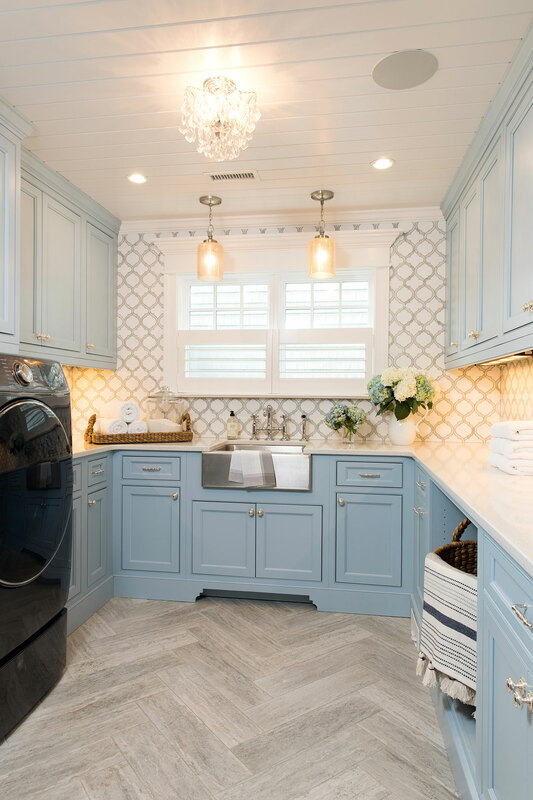 This laundry room design had one goal- to make the client feel special even while doing housework. 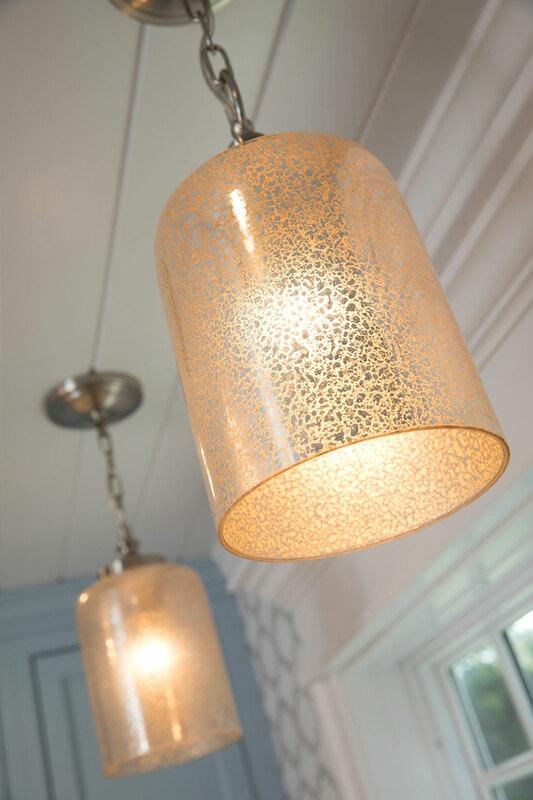 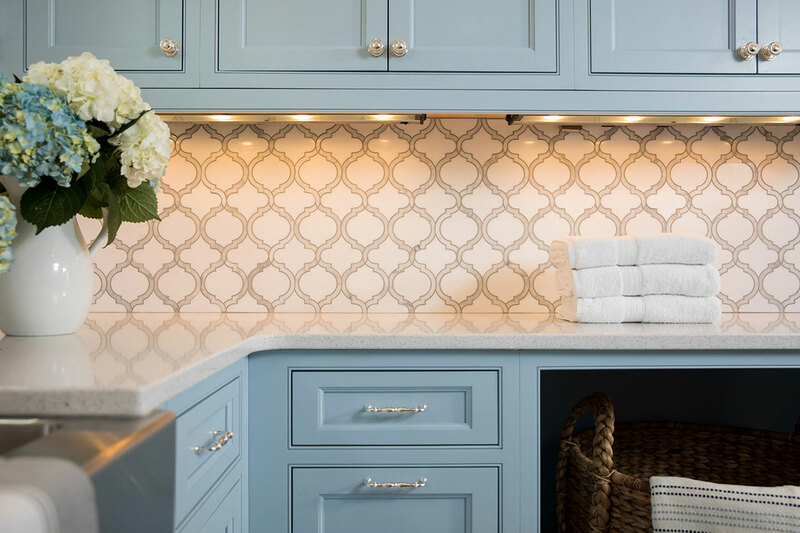 The custom cabinets were designed to include a place for hampers, a lucite drip-dry rod, and a broom cabinet. 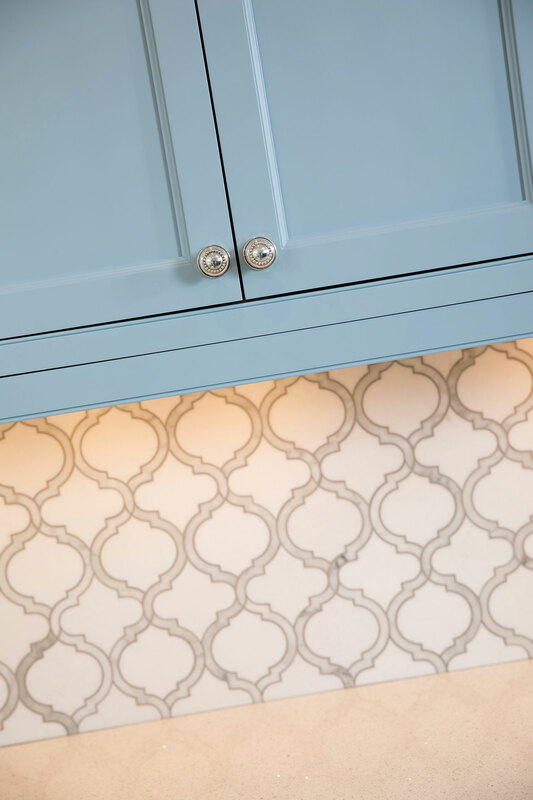 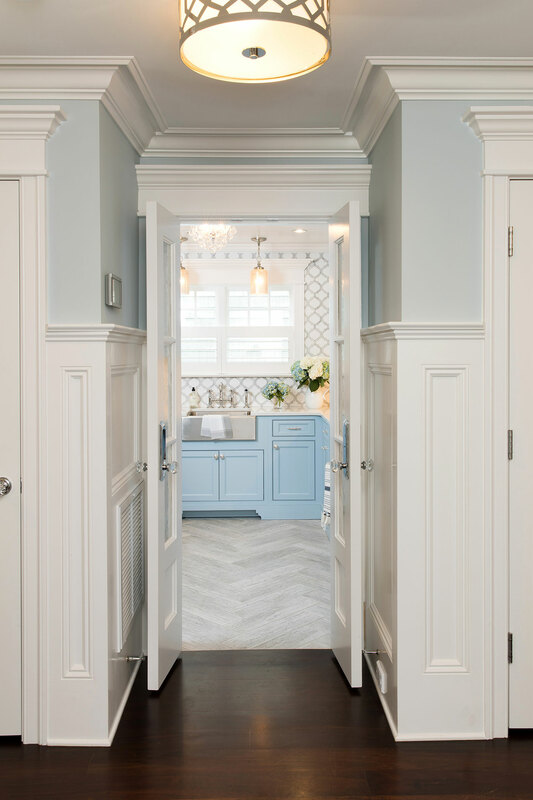 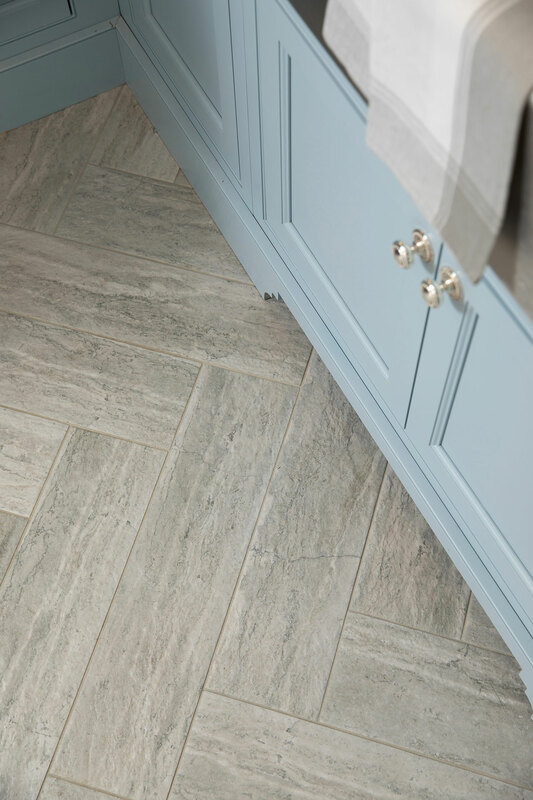 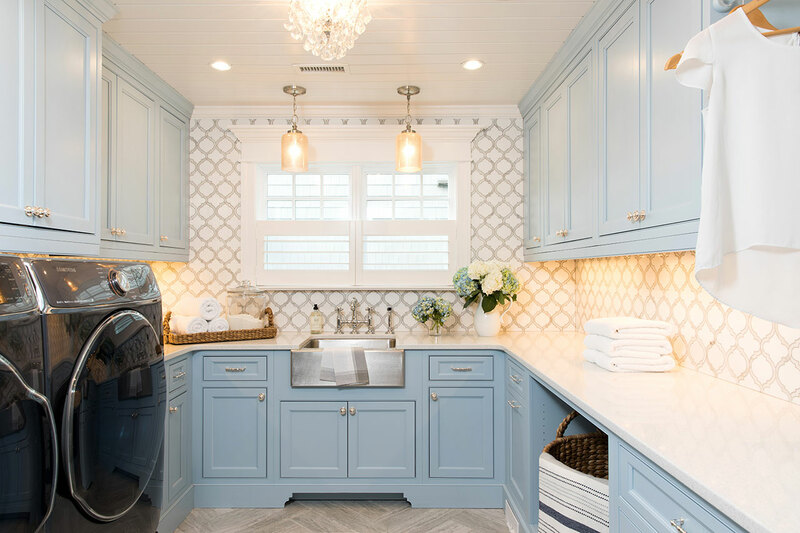 The stainless farm sink, geometric marble tile, crystal light fixtures and herringbone tile give this space a layered fresh feel and makes just about anyone excited to do their laundry.